County OK With Wilcox Spillover Parking. For now. 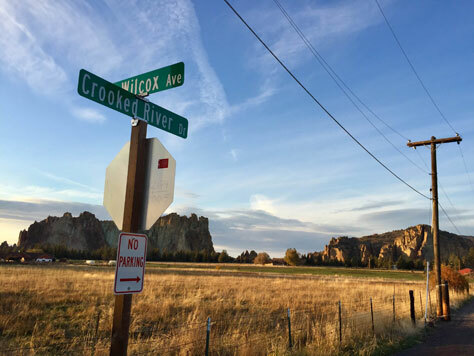 A Deschutes County commissioners' Halloween work session ended with Smith Rock parking spillover remaining alive on Wilcox Avenue. At least for this round. Part of a larger proposal that included stretches of the Cascade Lakes Highway and South Century Drive, they declined the ban for 2017. It would have needed a formal vote to actually be implemented. Back in October of 2015, these same commissioners took away 97 overflow parking spots on the west side of Crooked River Drive. They cited both safety concerns and road damage from cars that straddled the edge of the road and the shoulder. This pushed crowds the following spring and summer out on to Wilcox Avenue, the road turning onto Crooked River Drive. 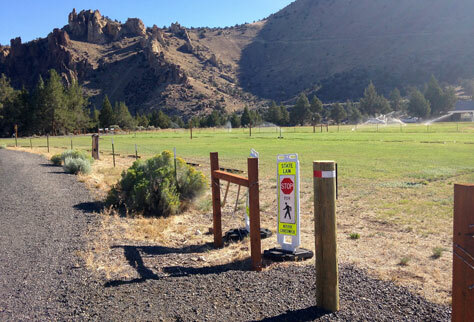 Some parked as far as 2 miles away from the park entrance in part due to a hugely successful Travel Oregon campaign naming Smith Rock one of "The Seven Wonders of Oregon." Area residents, feeling the brunt of the overflow, vocalized their concerns to park management and the county. This is turn prompted the ban consideration. A bit of relief came at the end of July this year in the form of 100 overflow spots on the field across from the Park Field Office by the Northern Point parking area. This is a stop-gap measure until the master plan is complete and presented to the public roughly 18 months from now. Hopefully, the current overflow parking will contain the issue until then and that the neighbors and the Deschutes County commissioners can wait for a more permanent fix. In the meantime, if you find yourself needing to park on Wilcox, be respectful of the neighbors and try not to wander into the road.